SE Basic 3 by Source Solutions, Inc. Overall fastest version of Sinclair BASIC - fully optimized for speed. Fastest and most user friendly editor - with additional editing commands. AY support including pseudo-interrupt driven sound. 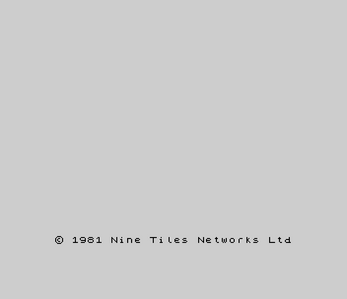 ULAplus support including a default palette and new commands. 8-bit character set support including printing characters 24-31. Hex and Octal number entry. Decimal to Hex string conversion. Intelligent error trapping - OK and STOP are not errors. More room for BASIC programs and line numbers up to 16383. Improved SCREEN$ handling for UDGs and 8-bit character sets. Improved floating-point library - faster and more accurate. Remains compatible with the majority of Spectrum software and hardware. Ability to use reserved words as variable names during tokenization. Replaced Geneva Mono font with Jupiter81 font. Restored UDGs to original location. Changed boot colors to black on white. Swapped bytes at 04D0 / 04D1 to support tape traps. Reincorporated external data into the main assembly file. Switched default compiler back to Pasmo. Verified entry points against esxDOS 0.8.5 disassembly. The download now includes a .tap version for use with the Spectrum +2A. Virtual tape support under esxDOS is unstable at best.